Lately sketching is all I can manage. I feel frustrated with the lack of time, and I need to let that go. I have decided to do at least one 5 minute sketch everyday. You can’t really accomplish a whole lot in 5 minutes, but it is amazing what you can do! And, it’s kind of like 10 minutes of yoga, its better than nothing and still adds value. The other thing about sketching that is good for me is that it just gets my hand and my head moving together. 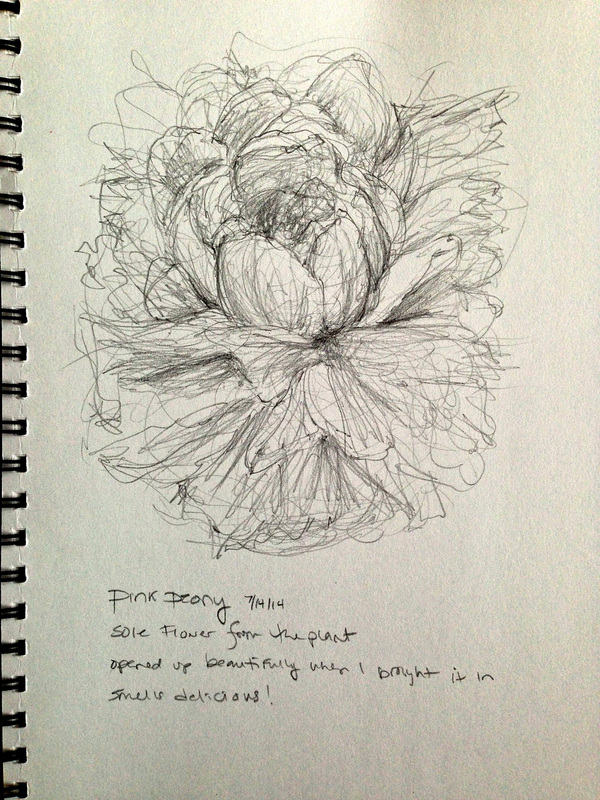 I am also adding some journal entries to the sketch and that is good too. Helps me focus on the moment and I think it will be nice to reflect back on. My goal this weekend will be to start a piece that I intend to finish…more than just a sketch. But the sketch will get me there! 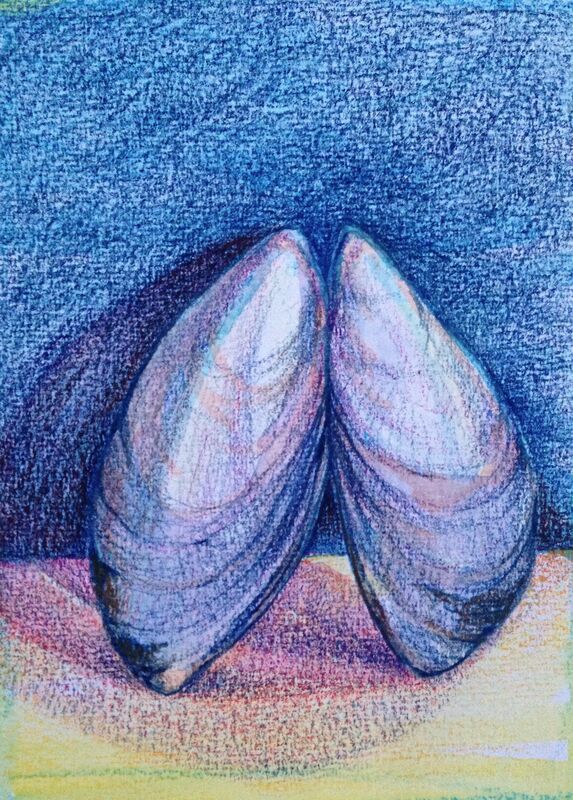 This entry was posted in Uncategorized and tagged colored pencil, mussel shell, peony, sketch, small artwork. Bookmark the permalink. I love both pieces. I really like the pencil sketches, would love to have a collection of those, maybe scanned and printed. And I like your attitude. Thanks! I will see what I can do with the pencil sketches in terms of presentation. I am working on keeping some in my journals…kind of like a history of progress. I appreciate your feedback! Wow! I’m amazed at what you can accomplish with a few minutes!! 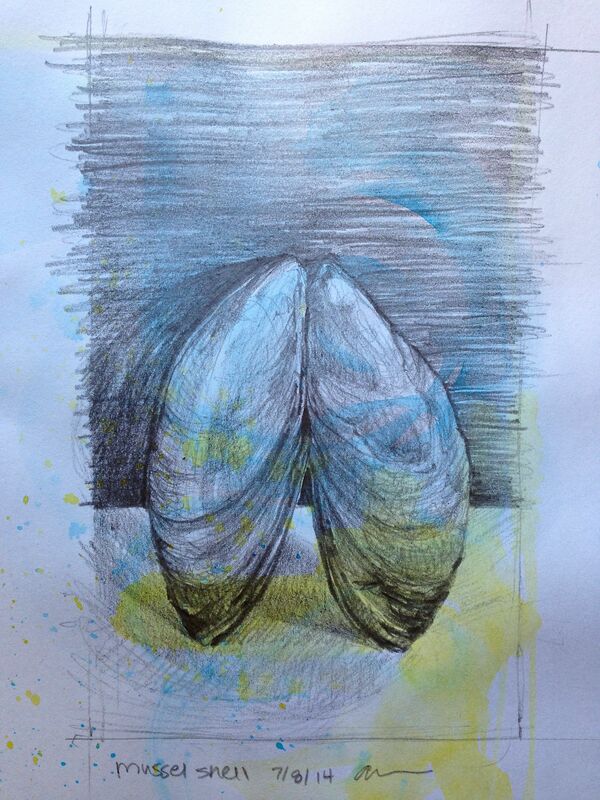 Seriously, I’m awed by your shells. I did my first today and will post for the letter S in a few days. Your work inspires me. My Inktense pencils are on their merry way to my door. I love your idea to do them as an underdrawing with colored pencil on top. Do you liquefy them when used underneath like that? Woo. I hope I can do that kinda work with 5-10 minutes one day. Looking forward to many more of your posts!